Dwyer Group provides needed instruction and hands-on learning for all of its franchises. Franchise owners just starting out typically look at their lengthy to-do lists with anxiety. Checklists, phone calls and training can help them, says Julie Jennings, a franchise consultant for Molly Maid. Jennings and nine others are part of the Sure Start operations training team at Dwyer Group’s corporate office in Ann Arbor, Michigan. Jennings says she likes to “chunk things down” for new entrepreneurs. The Molly Maid training program runs 6-8 weeks, and it all begins with a list. When the checklist is done, franchisees receive five days of “university level training” in operations at the Ann Arbor offices. 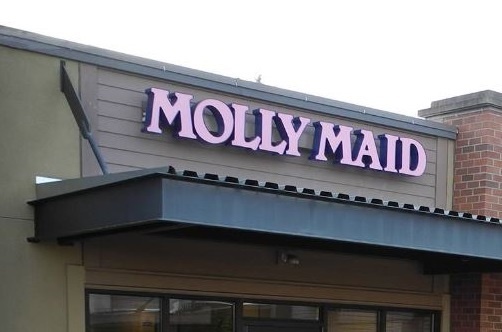 They also visit one of four designated Molly Maid shops in the United States. This helps owners feel more comfortable with the business model. Owners are assigned a franchise consultant who is readily available for phone calls and emails. Immediately after training, new owners do a “soft launch,” which includes scheduling estimates and cleans. They aren’t “officially open just yet,” says Jennings. The following week is when business gets underway. “They are excited and we encourage them to take it one day at a time,” Jennings says. “When they open, they will have gone through the owner training. They know there’s a way to do this right.” Several weeks later, the franchise consultant performs a 2-3 day on-site visit.